Crysbro, a forerunner in Sri Lanka’s poultry industry sponsored the 60th Annual General Meeting of the Housewives’ Association. 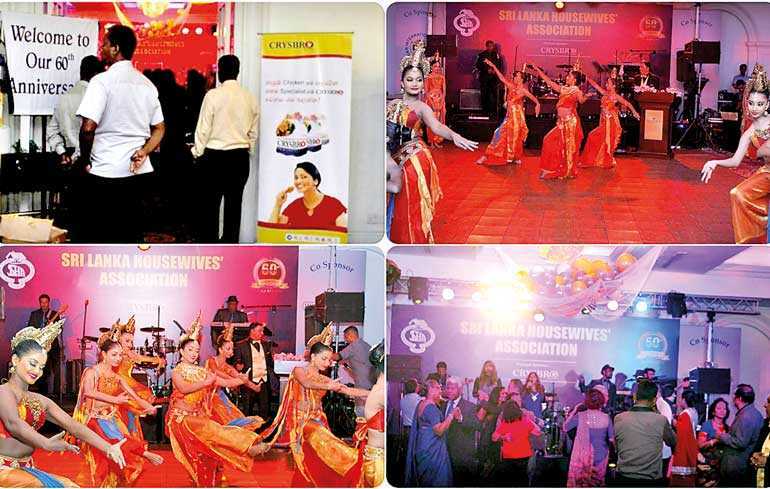 Held at the Kingsbury Hotel, the diamond anniversary celebrations took place amidst glitz and glamour in the presence of 500 guests including members of the Housewives Association, their family members as well as special guests. Women’s activist, Lorna White established the Housewives’ Association in 1958. The association continues work towards uplifting the standard of living amongst its members through various community development activities such as fund collection, exhibitions, sale of goods and cultural celebrations. Today, the Housewives’ Association comprise 17 branches and 5,000 members from various segments of the society. Crysbro engages in a number of Corporate Social Responsibility (CSR) commitments. Such CSR initiatives include projects such as awarding of scholarships to employees’ children and providing financial assistance to children who excel academically and the provision of books and other stationary. Assisting the farming community with which CRYSBRO closely works, the Company conducts vocational training programs, academic programs and provides various counselling services to schools. Crysbro’s ‘Praja Aruna’ program provides assistance to build and refurbish employees’ homes while also investing in infrastructure development in rural areas. The Company’s ‘Diri Saviya’ program benefits small and medium farmers through the provision of business opportunities, business management knowledge, technological awareness, chicken feed and loans. The Company buys the farmers’ broiler chicken and provides them with a portion of the revenue. Through the ‘Suwa Shakthi’ program, Crysbro offers medical benefits to employees, conducts medical camps and contributes to developing community hospitals. Established in 1972 with just 100 chicks and a vision to become a market leader in terms of quality, freshness and innovation, Crysbro has grown at a steady pace and in the decades since, has emerged as Sri Lanka’s first and most sophisticated, fully vertically integrated poultry producer with operations spanning grand-parent, parent farms, hatcheries, broiler farms and feed mills. The thriving ‘Farm-to-Fork’ concept has been at the core of the Company’s success, and which in turn has provided unprecedented support for numerous stakeholders including direct and indirect employees, out growers, domestic maize farmers, and ultimately, the Sri Lankan consumer.